There are an estimated 300,000 churches in the U.S., and they all have to handle money. People give approximately $594 billion to churches around the world every year. Since churches do not have to file reports about their budgets, there is little transparency in how the money they take in is handled. Churches may feel as if they are impervious to fraud, but they are unfortunately frequent victims of it. Church fraud has been increasing at a rapid pace. According to Brotherhood Mutual, an insurer that provides insurance for churches, fraud is increasing in churches at a rate of $110 million each day. If ecclesiastical fraud continues to increase at that rate, it could reach $100 billion by 2025. In 2017, churches lost an estimated $59 billion to fraud while spending $53 billion on charitable causes, meaning that they suffered more losses than they spent on charity. 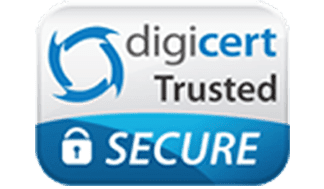 It is important for churches to institute strong expense management controls so that they can prevent themselves from fraud. Similar to churches, many other types of nonprofits feel like they are immune to fraud. However, would-be thieves steal where it is easiest, and churches and other nonprofits are frequently targeted. In one case involving a nonprofit organization in New York that offered services to people with disabilities, an executive embezzled $100,000. The woman used the money to buy luxury items such as a hot tub for her home, housekeeping services and furniture. She was sentenced to three years in federal prison as a result of her embezzlement. What is a debit card for churches? Debit cards for churches are one tool that can be used to help to improve expense management and tracking. Churches are able to make deposits into their own central accounts and decide how much money to allocate to each debit card. The cards can be used by church employees anywhere that debit cards are accepted to make purchases for the church. The cards may offer multiple benefits and may be better choices than church credit cards. Who can benefit from a debit card? Churches of all sizes can benefit from using debit cards instead of church credit cards or paper-based expense management systems. 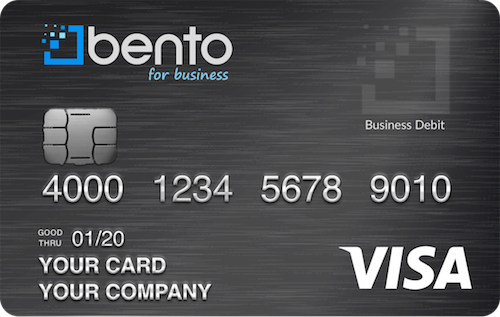 The debit cards from Bento for Business offer substantial expense control features for churches. Churches can limit individual card users to only making certain types of purchases according to their jobs. For instance, a religious school cook might be given a card that he or she can use to purchase food for the school but cannot purchase other items. If the cook attempts to charge something else on the card, the purchase will be declined at the register. Churches can also limit how much can be spent on a card per day or per week, and they can also limit the cards to being used during the regular workday rather than during off hours. The cards also offer real-time monitoring from a computer or mobile device. Church boards can log into their church’s dashboard and check how every card is being used at any time. If they see problems, the cards can be turned off by clicking a button on a mobile phone or a desktop computer. These controls help to prevent fraud from happening. When they are used instead of paper-based systems, they may help to stop fraud completely. What expenses are reimbursable for churches? How does a debit card compare to a church credit card? Debit cards offer several benefits over church credit cards. The companies that offer church credit cards may charge interest on the balances that are carried on the cards as well as high annual fees. Debit cards do not charge interest on the card balances because the money is the church’s own funds and not the credit card company’s money. Church debit cards from companies like Bento for Business also do not have high annual fees and are not credit-dependent. While church credit cards will require you to apply for them and have your credit checked, debit cards do not go through a credit approval process and will have no effect on your credit. Church credit cards also may be easier for thieves to target by making fraudulent charges or cash withdrawals. The debit cards from Bento for Business do not allow cash withdrawals from the cards, and the purchase controls allow you to prevent the church employees from making fraudulent purchases. Why should religious organizations be excited to own and use debit cards? Churches are now embracing technology more than ever. Some churches are now even accepting credit and debit card payments from parishioners for donations. However, churches also want to encourage their parishioners to avoid debt, and opting to use debit cards instead of church credit cards can help the church to be a role model for its members. Debit cards can also offer greater expense management controls to churches than church credit cards can. They also can save time that can be put to better use on other tasks rather than on processing expense reimbursement requests. The church debit cards from Bento for Business are a good start to handling the problems of church fraud and expense management. The deposits are insured for up to $250,000 by the FDIC, and Bento uses the same level of secured encryption technology as banks. To learn more about using debit cards to control your church expenses, call us today at 866.220.8455 or sign up for our free 60-day trial.